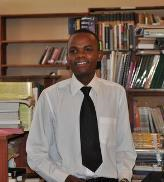 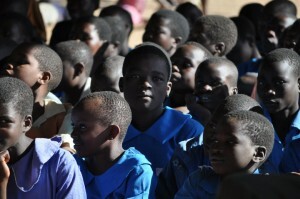 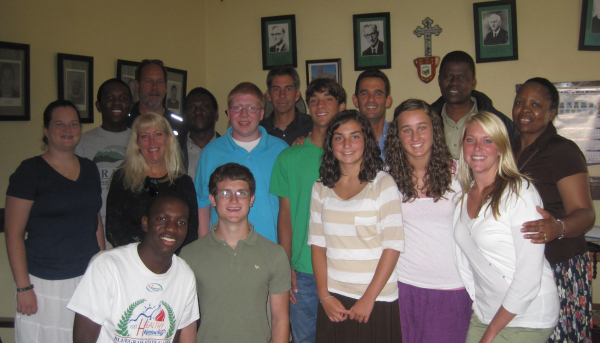 Follow this link to see Boniface and some friends share a song of praise! 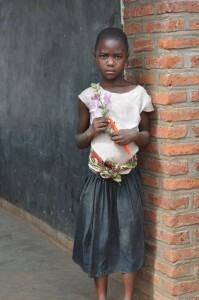 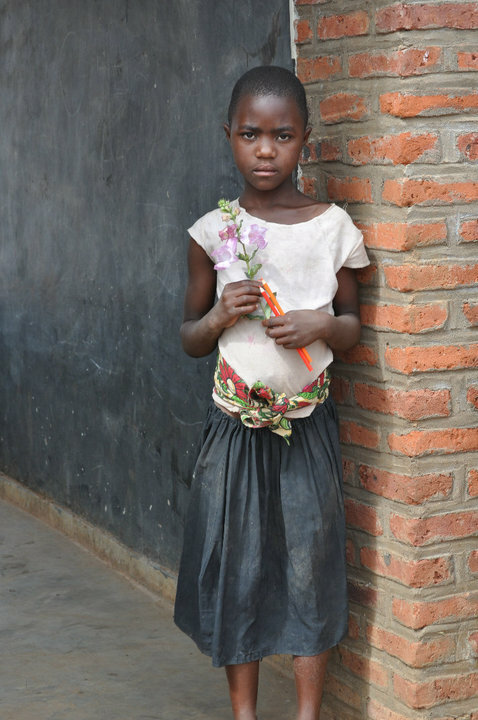 This girl is among the many children we met at the Msumphi Orphan Center near Nkhoma. Children at Kapalamula Primary School in the village of Wanyenba, where Tambu grew up, were given school supplies and soccer equipment. They greeted us unforgettable and warmly with their voices. The youth handed out treats, and Emily Downing helped serve ground nut porridge at the orphan center. 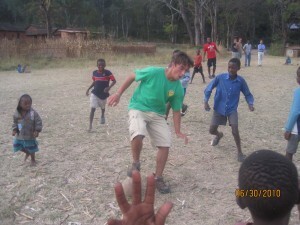 Ross McGoodwin was among the soccer players of the mission team who played soccer several times during the trip, with village children, pickup games with teens and against a secondary school team. 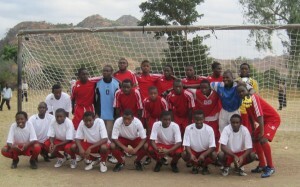 Through the generous contributions of members of Second Presbyterian Church, the William Murray Secondary School soccer team is now fully equipped with uniforms, cleats, shin guards, goalie jerseys and gloves, practice jerseys, cones, balls and nets. 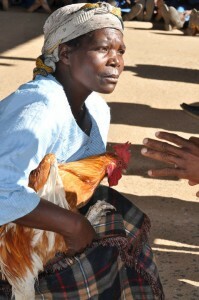 As a token of appreciation, Kapalamula Primary School officials honored Second Presbyterian with a gift of a rooster. 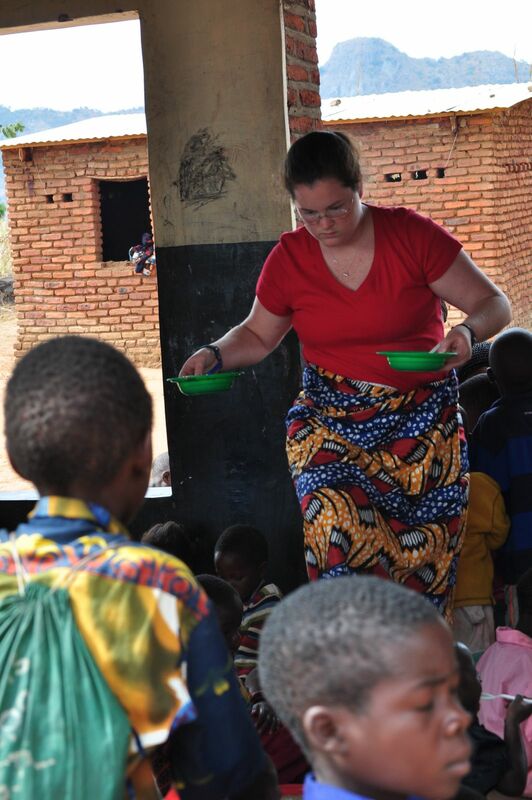 In Malawi culture, this is a truly high honor. 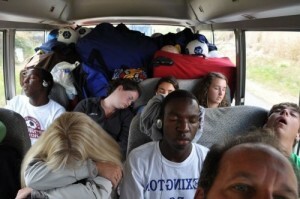 Malawi 2010 travelers catching some shut eye en route from Nkhoma to Blantyre.